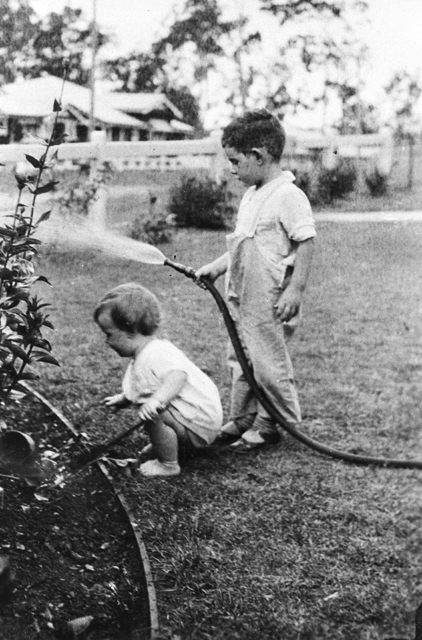 Two unidentified children in a garden, southeast Queensland region, circa 1930s [picture] / Photographer unknown. 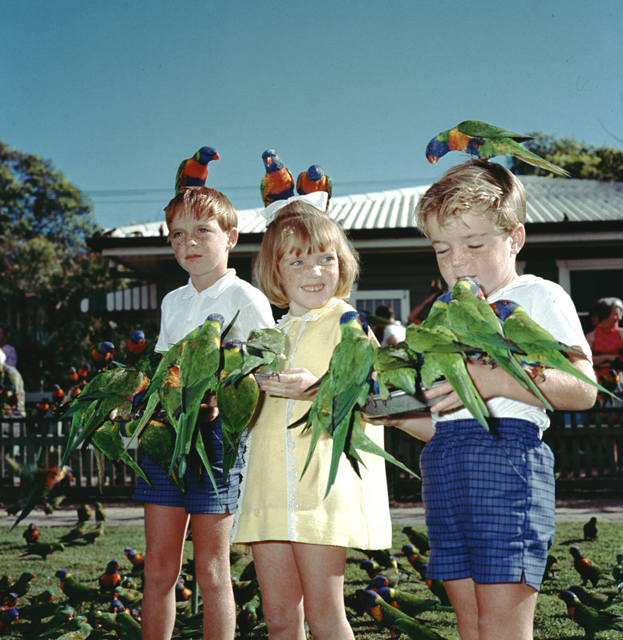 Children feeding lorikeets at Currumbin Sanctuary, Queensland, circa 1980 [picture] / Photographer unknown. 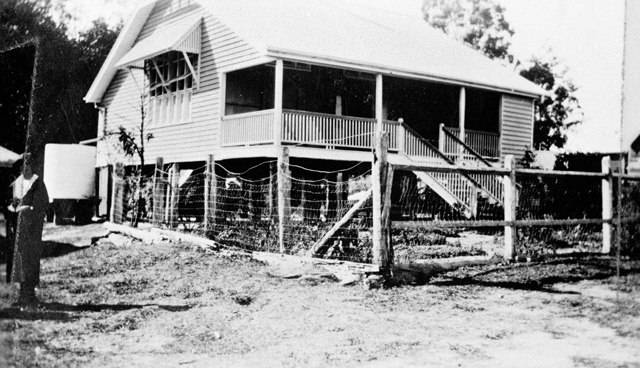 Mudgeeraba State School, Queensland, 1916 [picture] / Photographer unknown. 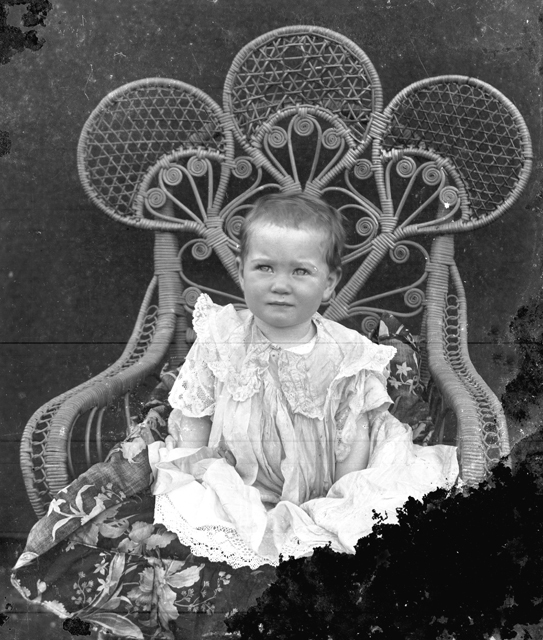 Portrait of an unidentified infant in an ornate cane chair, southeast Queensland region, circa 1900s [picture] / Photographer unknown.